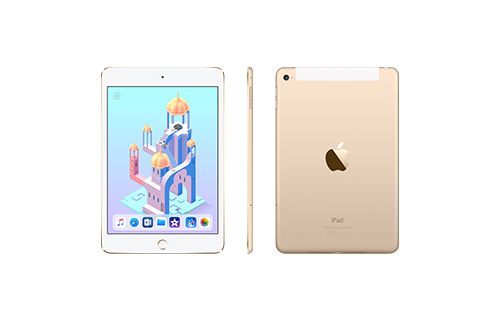 iPad mini 4 has a gorgeous 7.9-inch Retina display, yet it’s only 6.1 mm thin and weighs just 0.65 pound, so it easily fits in your hand or bag. It has a powerful A8 chip with 64-bit desktop-class architecture, 8MP camera, FaceTime HD camera, Touch ID, Wi-Fi, and up to 10 hours of battery life. It also includes great productivity and creativity apps, the powerful multitasking features of iOS 11, and over a million apps designed just for iPad in the App Store.